Well-known actor and producer Vijay Sethupathi has penned the screenplay and dialogues of actor Vikranth's next film. 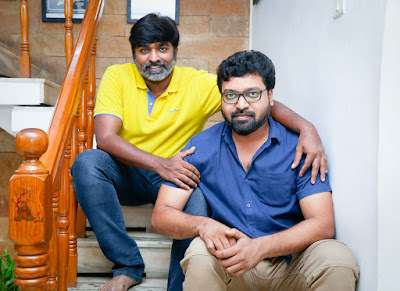 Disclosing details about this commendable effort, Sanjeev, who is the brother of actor Vikranth and who will be directing the film, said, "I directed Thaaka Thaaka, a film in which Vikram played the lead in the year 2015. Following this, I happened to meet actor Vijay Sethupathi sir some years later. I told him the gist of a story. After listening to it, he said that it was a very good story and that it would be apt for Vikranth. Not just that, he also asked if he could write the dialogues for the film. "When I was wondering how he would be able to do it, considering his immensely busy schedule, he said we could do it during the spare time he got. "Keeping his word, he would contact me in the nights, after his film shoots and have story discussion sessions with me. He improvised immensely the value of the story and also penned the dialogues himself for the film. "I know that he has written the dialogues for Orange Mittai, a film which he produced and acted in. After that film, this is the first time he is writing dialogues for a film in which he is not acting. Also, this is the first time that he is writing dialogues for a film in which he is not acting and which has another hero playing the lead.